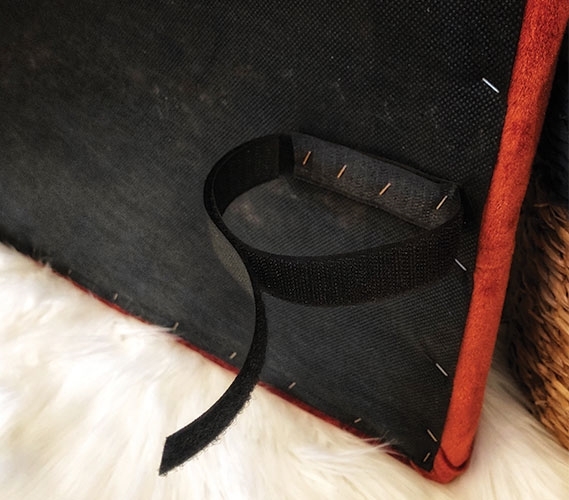 College headboards are an easy way to add design to your dorm room. 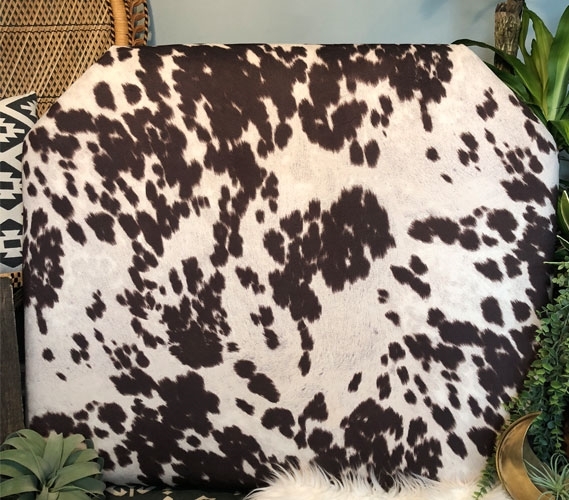 Dorm headboards like this Cow Hide Brown College Headboard can be quickly fastened onto your Twin XL headboard, or can be wedged between your extra long Twin mattress and bedframe. 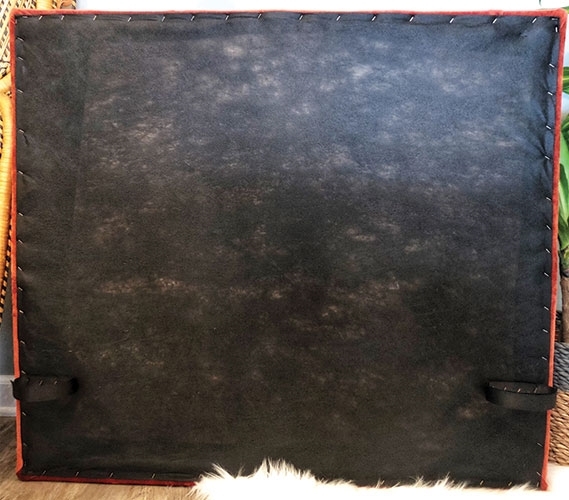 In one quick step your college dorm room can go from bland to exciting! 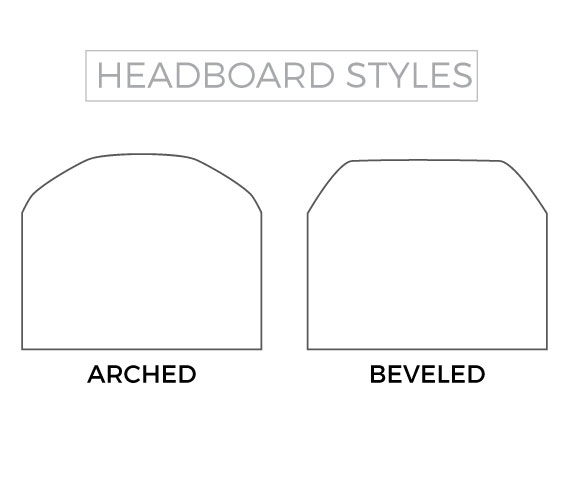 You can choose between two different college headboard shapes so you have the perfect sturdy dorm headboard to fit your tastes. 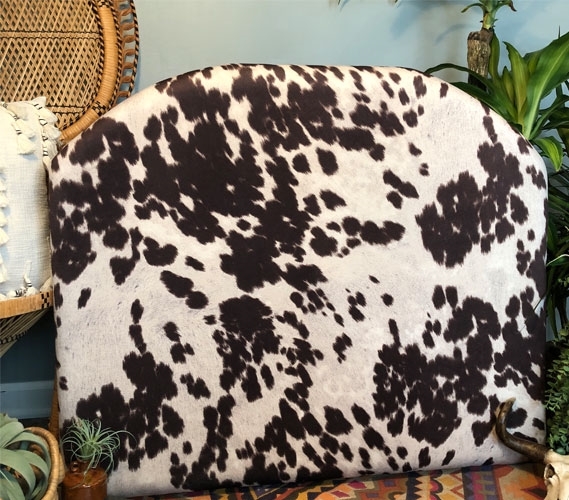 This animal print college headboard will add style to your Twin XL bedding. 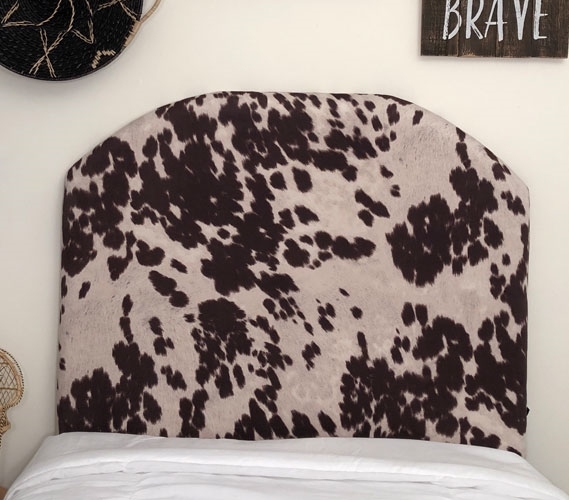 Featuring a brown cow spotted pattern, this dorm headboard has a unique design that can easily mesh with the rest of your dorm decor. 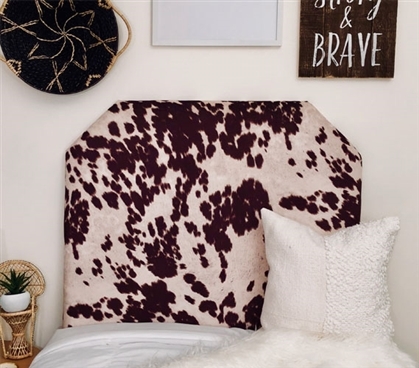 When it comes to decorating your college dorm room, animal print decor is a popular choice! This piece of brown dorm decor uses a neutral color and fun design to stand out from the rest of your dorm decor while still blending in.